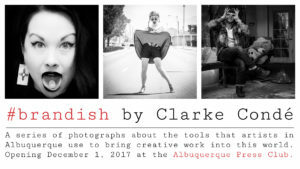 #brandish is a series of photographs about the tools that artists in Albuquerque use to bring creative work into this world. Originally created by photographer Clarke Condé and writer Josh Stuyvesant for Pyragraph Magazine, #brandish is about each artists’ most-leveraged tool — that tool without which the artist would not be able to do his or her specific batch of creativity. 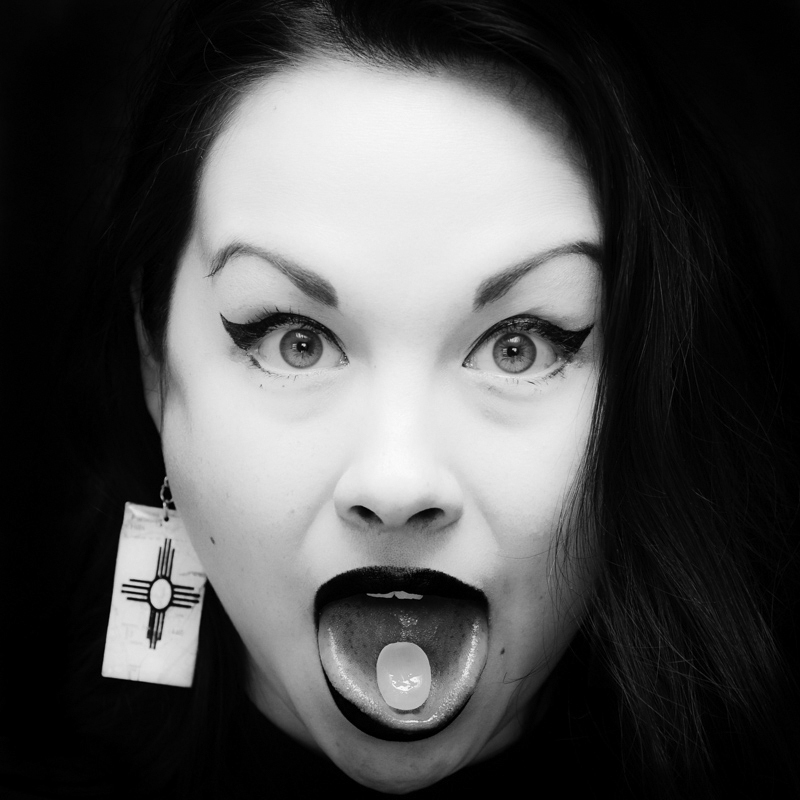 Clarke Condé is a photographer, editor and New York expatriate (though not necessarily in the order) now living in Albuquerque, New Mexico. Much of his photography over the past two decades has focused on telling stories about work and the people working. You can find his most recent book, Work in Rochester: the field guide to the economic life of Rochester, New York at Amazon and see more of his work at his website, Condéphotography.com.